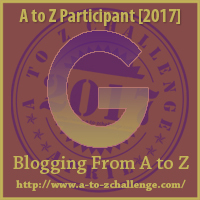 Today’s letter is “G”, so we’ll talk about Glass and Grapes! 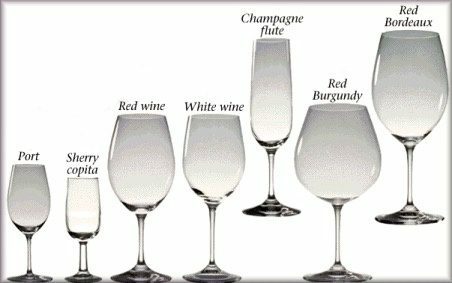 While there are specially designed shapes, sizes, and styles of wine glassware for nearly every varietal of wine, they all fall into one of four basic categories, I’m going talk about the top three. White wine glassware can be distinguished from red wine glassware primarily by the bowl. It features more of a U-shape and often a more upright design. The slimmer, U-shaped bowl is used because white wines do not need to be aerated as much as red wines. 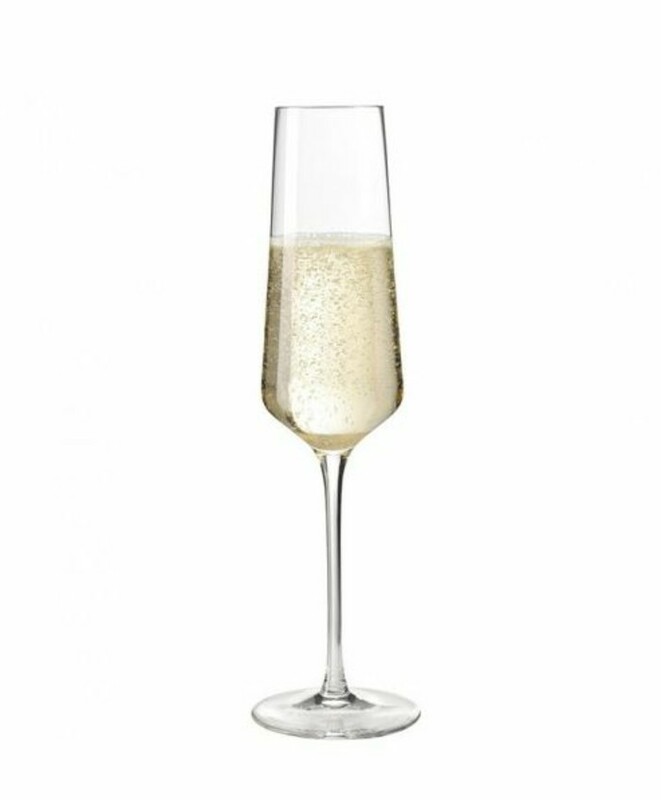 With the slimmer design, white wine glasses should be big enough so when you pour the wine it doesn’t fill more than 2/3 of the glass. This allows the aromas of the wine to be released while simultaneously helping maintain a cooler temperature. 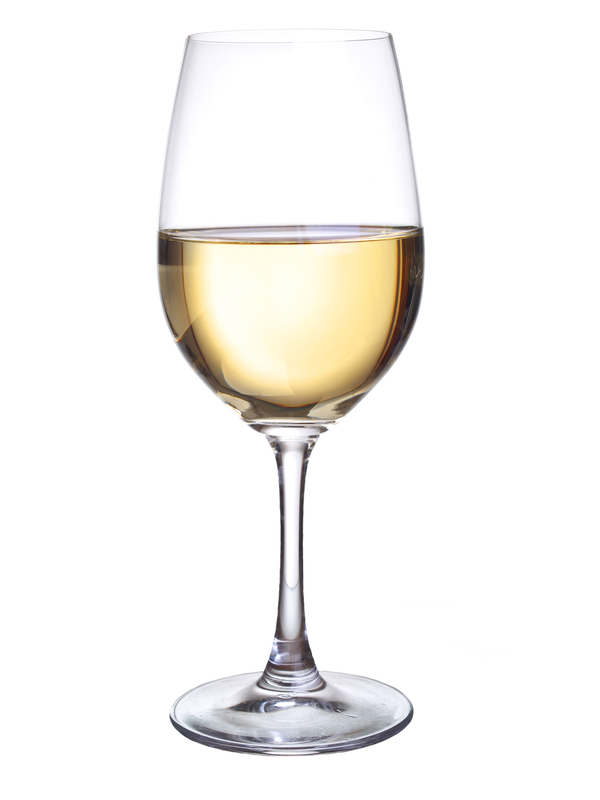 White wine glasses also tend to have longer stems. This makes it easier for you to hold the stem rather than the bowl. 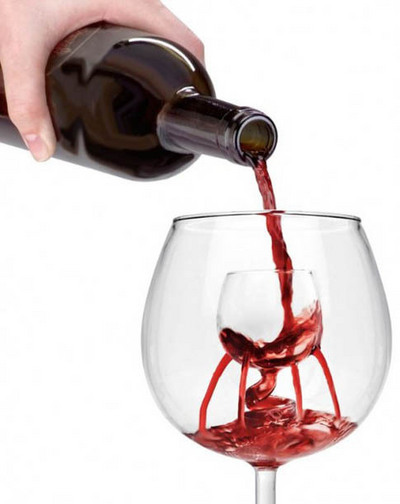 By holding the stem, you can minimize the amount of body heat transferred to the wine while drinking it, which helps keep the wine cooler for a longer period of time. There are more varieties of different types of glasses for things like dessert wine, etc., but you don’t have to really go all out, unless you want to. My china hutch is full of a variety, but I have scores of red wine and white wine glasses since that’s what most people drink when we have a party. Now on to the Grape: most wines come from grape juice, obviously. 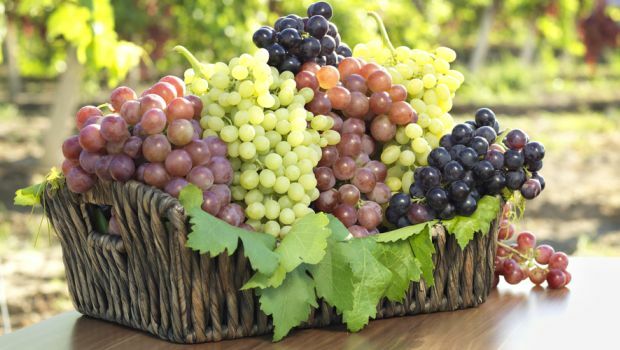 Grapes come from grape vines and as a bunch made of multiple berries. Seems simple, right? It is that simple! But there are so many grape varieties, I myself didn’t realize how many there were until I started researching them, so I’m just going to highlight the most popular wine varieties. 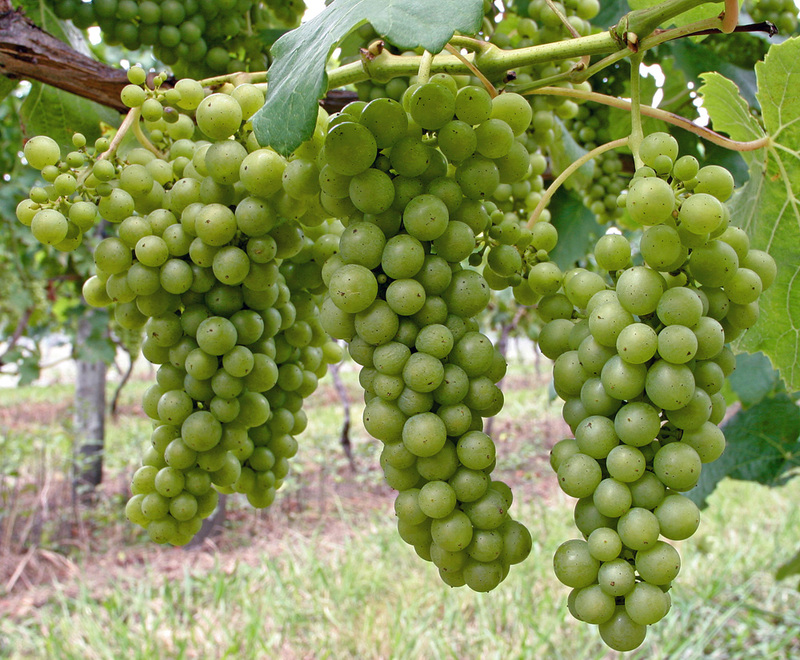 The popular types of white wine grapes are Riesling, Gewürztraminer, Chardonnay, and Sauvignon Blanc. All of those except Chardonnay are my favorites – I’m not a fan of Chardonnay, as it’s too dry for my liking. Riesling wines are much lighter than Chardonnay wines (which is one of the reasons I prefer a Riesling over a Chardonnay any day). The aromas generally include fresh apples, and the variety expresses itself very differently depending on the district and the winemaking. Rieslings should taste fresh – if they do, then they might also prove tastier and tastier as they age. The Gewürztraminer is another favorite, and a very aromatic variety. 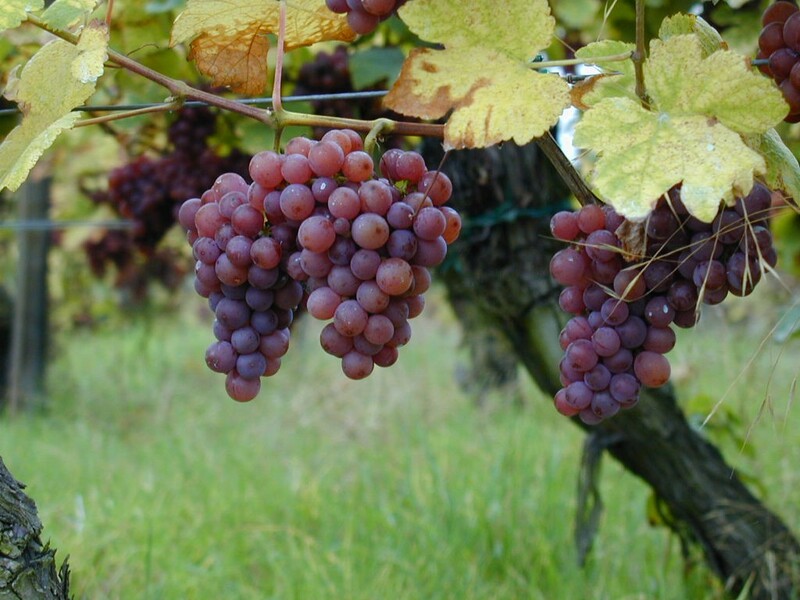 Gewürztraminer wine has fruity flavors with aromas of rose petal, peach, lychee, and allspice. A Gewürztraminer often appears not as refreshing as other kinds of dry whites, though I myself definitely prefer it over any other dry white wine. 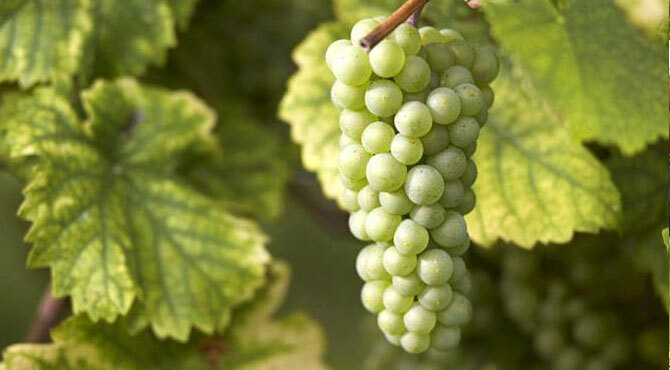 Chardonnay was the most popular white grape through the 90s, and can be made as a still wine, or a sparkling wine. I’ve never had it as a sparkling wine, I wonder if I’d like it better? Chardonnay is often wider-bodied (and more velvety) than other types of dry whites, with rich citrus flavors, like lemon and grapefruit. This is a wine you definitely want to ferment in new oak barrels to add a buttery tone, like vanilla, toast, coconut, and toffee. 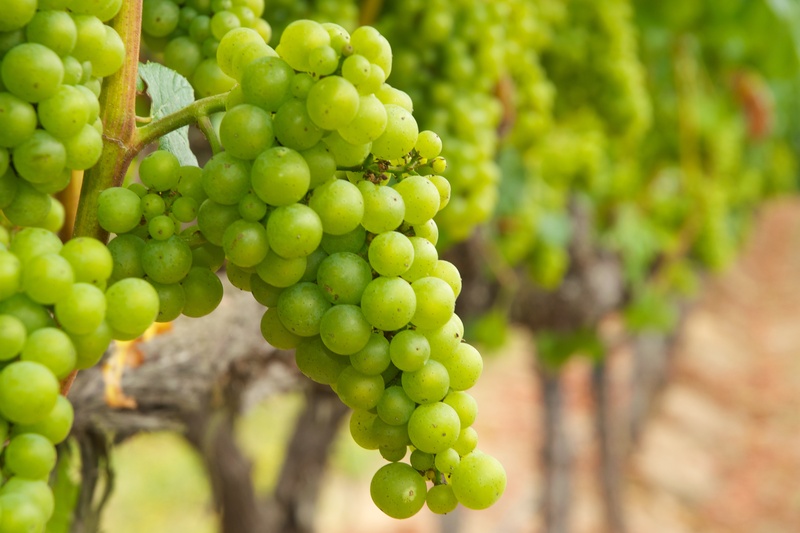 Sauvignon blanc is lighter than Chardonnay, and if the grapes are grown in a warmer climate, the wine tends to be flat and lacks fruit qualities. Always get a Sauvignon blanc that hails from a cooler climate – I personally didn’t like the ones I’ve gotten from a warmer climate, and definitely prefer the other. Sauvignon blanc normally shows a herbal character suggesting bell pepper or freshly mown grass. I wonder, though, how on earth can they determine the ‘mown grass’ taste? The dominating flavors, though, range from sour green fruits of apple, pear and gooseberry, through to tropical fruits of melon, mango and blackcurrant. 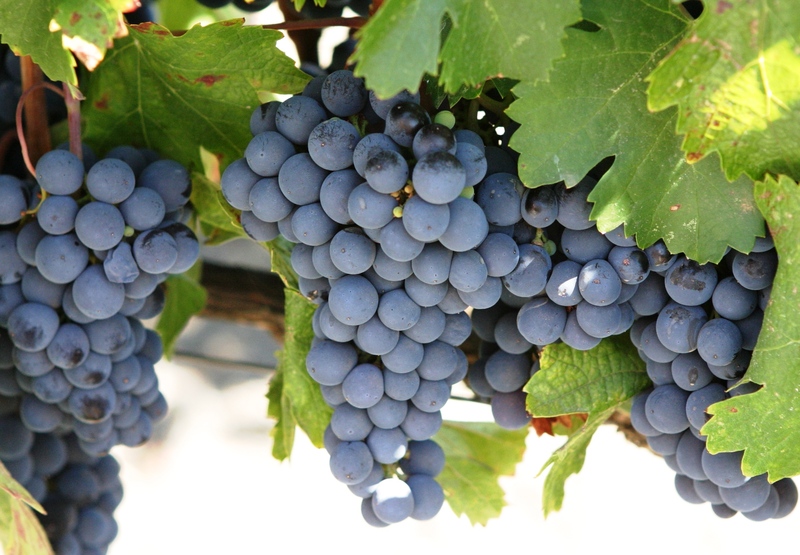 The popular types of red wine grapes are Syrah (also known as Shiraz), Merlot, Cabernet Sauvignon, and Pinot Noir. 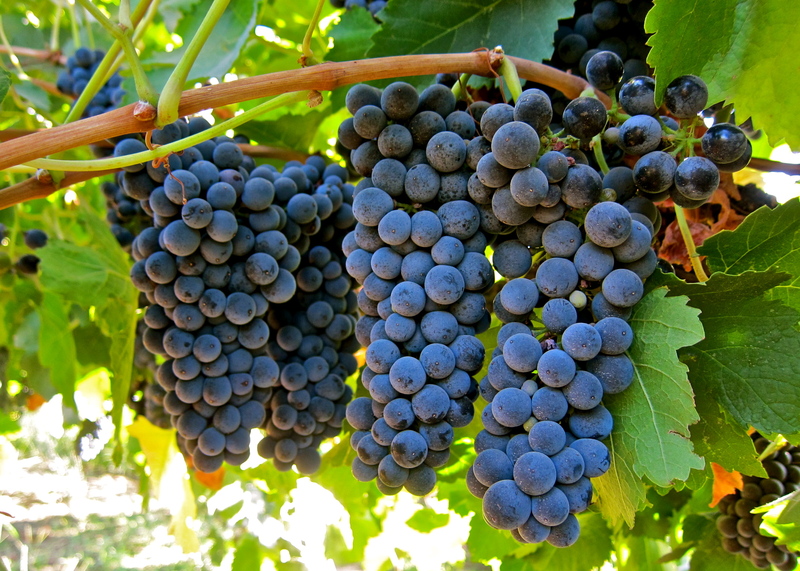 Syrah or Shiraz are two names for the same variety – Eurpoean vine growers and winemakers use the name Syrah. Syrah/Shiraz pairs well with meat – such as steak, beef, wild game, stews, etc. Syrah has the aromas and flavors of wild black-fruit (such as blackcurrant), with overtones of black pepper spice and roasting meat. It’s probably why I like it so much. If you age the Syrah in an oak barrel, you can achieve some toffee notes to the flavor as well. The Shiraz variety gives hearty, spicy reds – white shiraz is used to produce many average wines, and it can produce some of the world’s finest, deepest, and darkest reds with intense flavors and excellent longevity. Merlot is easy to drink – its softness has made it an “introducing” wine for new red-wine drinkers. It was the first red wine I ever tasted (Gewürztraminer was the first white wine I ever tasted). Merlot is such an easy-to-drink wine you can actually pair it with just about anything! Merlot presents flavors of black cherry and herbal flavors. 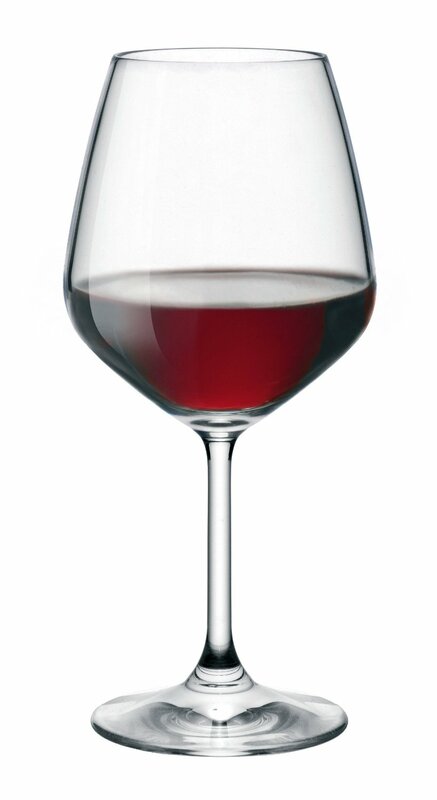 The texture of a Merlot is considered ’round’ (probably why it’s an ‘easy drinking’ wine). Cabernet Sauvignon is accepted as one of the world’s best varieties (I often pair Cabernet Sauvignon grapes with other fruits like Blackberries or Cherries for a fruity Cabernet Sauvignon). Cabernet Sauvignon is best with simply prepared red meat – it also goes very well with a variety of cheeses. Cabernet Sauvignon is often blended with Cabernet franc and Merlot, and often times is aged in oak barrels, which adds vanilla notes. It’s full-bodied, but firm and gripping when young. Pinot Noir is another favorite of mine (and I love making Blackberry Pinot Noir and Black Cherry Pinot Noir – my friends all love how those turn out as well). 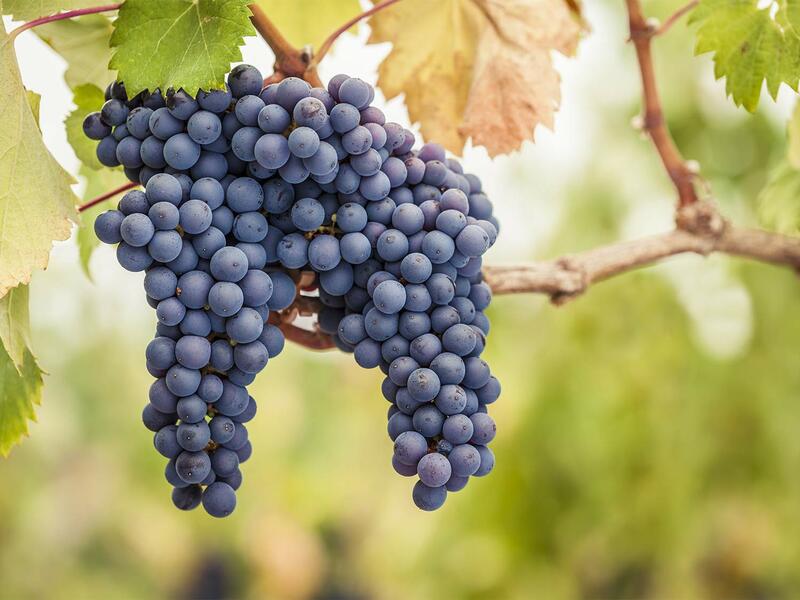 The Pinot Noir grape is considred the noblest red wine grape – they’re difficult to grow, rarely blended (except I like to be a rebel and blend them with blackberries or cherries) and have no roughness. 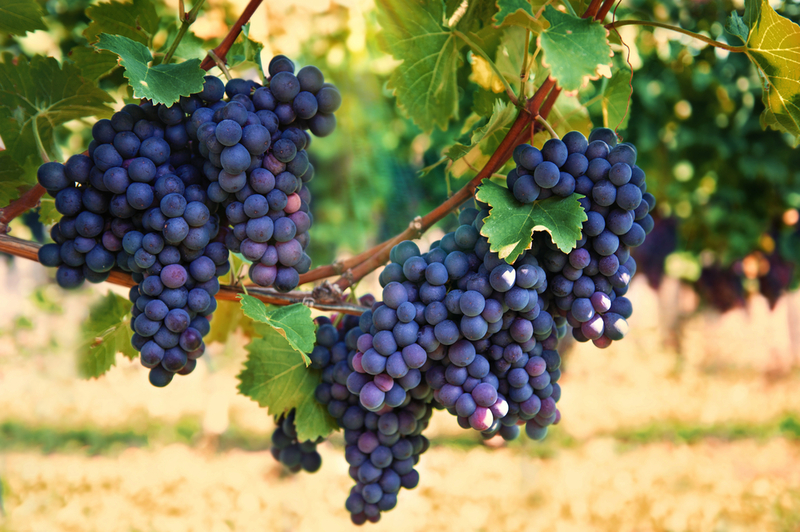 Pinot Noir is delicate and fresh, with soft tannins. The aromatics are very fruity (cherry, strawberry, plum), which is probably why it works very well when I add them to blackberries and cherries. What’s your favorite grape variety? 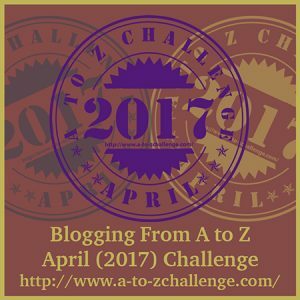 This entry was posted in A-Z Challenge, Wine, Wine Making, Winemaking and tagged A to Z Challenge, flavors, glassware, Wine, wine drinker, wine glass, wine glasses, Wine Grapes, Winemaking by StacyUncorked. Bookmark the permalink. Man, I have to pick a favorite? I’m a red wine girl, so I’d have to go with Syrah (or pretty much any other red wine you mentioned). Ironically, we own a LOT of white wine glasses and only one red one. I had more, but the red ones tend to break easier because of the bigger bowl. Another excellent post. I never realized there were different wine glasses for different wines. We grow mainly concord grapes so I was not aware of all these other types of grapes and wines. Sweetie’s favorite is the cabernet. He orders nothing else when we go out to dinner. We made wine at a big family reunion once. The grapes were so sticky to pull off the stems! That is my usual favourite – I don’t often drink white wine at all. But my favourite is from the Cote du (southern) Rhone region – the wines by Chateauneuf-du-Pape and they are typically Grenache noir variety of grapes. A very lovely flavour. Probably is the last bottle I bought – for our anniversary – was almost $100! Yep, quality is pricey!